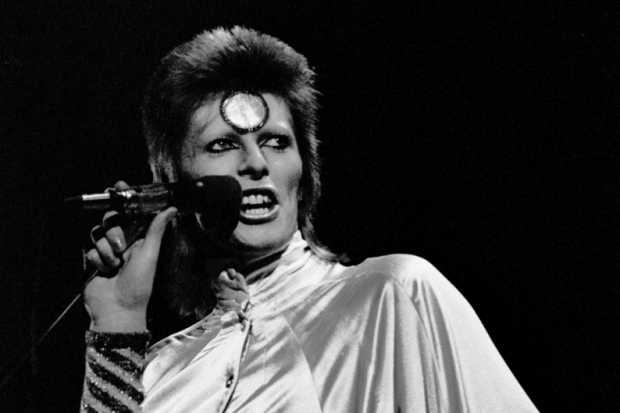 On June 5, David Bowie’s landmark The Rise and Fall of Ziggy Stardust and the Spiders from Mars will be available as a remastered reissue in honor of the album’s 40th anniversary. The spruced-up audio is streaming in full over at the NME, although as we’ve said before, streaming audio is not exactly an ideal format for evaluating subtle studio tweaks. Still, if you’re a Ziggy newbie, this is a great chance to listen to the influential concept album in full. At the very least, you should get a whole new perspective on bands from Of Montreal and Arcade Fire to Green Day. And since Bowie has let it be known he won’t be making any new music anytime soon, re-listening to his great works is kind of all we’ve got. The vinyl edition of the reissue also comes with an audio-only DVD that includes four previously unreleased mixes of Bowie tracks. Those aren’t streaming yet, so you Bowie-besotted audiophiles will have to content yourself with the proper 11-track album for now. Hey, that’s far out!